Using just citrus means the dressing on this salad is nice and light. So even though you have higher cal avocados and corn, the salad is still a good side dish coming in at just 133 calories per serving. 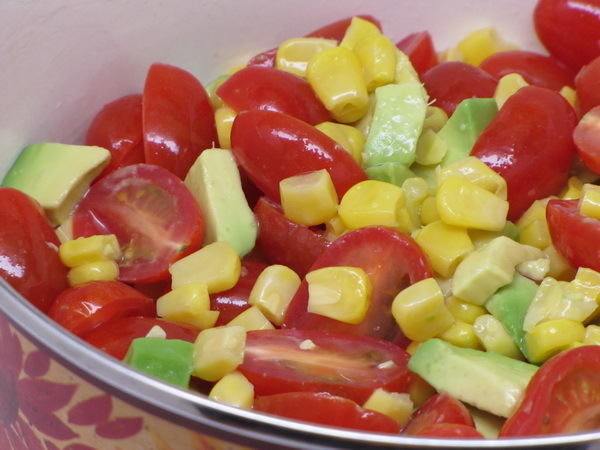 The avocado is what really makes this special – the creaminess blends so nicely with the corn and tomato ! Mix all ingredients. Serve alongside many different dishes to bring a little spark and flavor – This is great next to chicken, fish, sandwiches, etc. What a great flavor ! 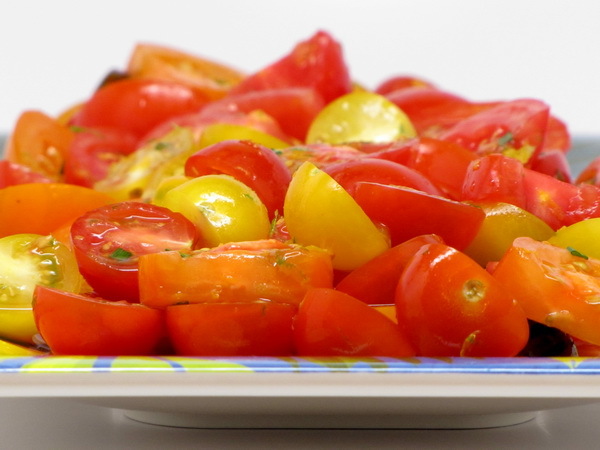 The orange gives these tomatoes a great fresh flavor. Try on your favorite heirloom or farmer’s market tomatoes for a great side dish so low in calories, but so big in flavor ! Mix together all except tomatoes and chives. Plate tomatoes and drizzle with dressing. Then sprinkle with chives. Mix all together and serve. This will last several days in the refrigerator. Great served hot – and equally as good served chilled. This side salad has a great taste and is very easy to prepare! Cook rice according to package instructions. 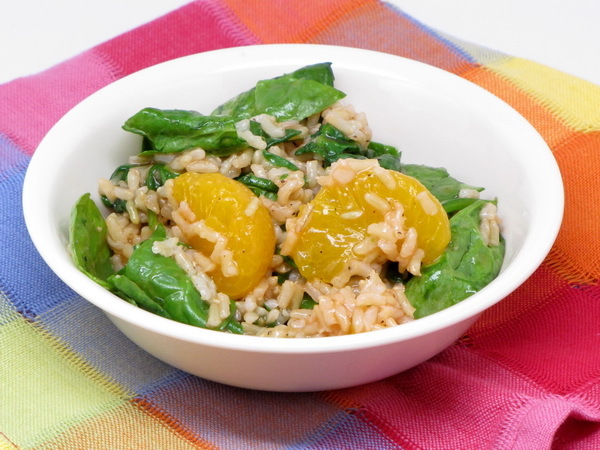 Place in a bowl and add spinach and oranges then toss with dressing t coat. I’m not a huge fan of plain salads. But when you add lots of fiber (chickpeas) and cheese, then they become special and they do fill you up. 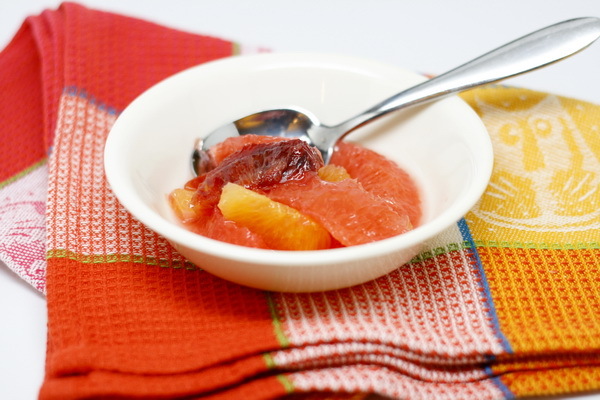 This one has both and has a great citrus dressing. Add a few squirts of fresh lime of orange juice to give it even more citrusy taste. Mix zest, juice, oil, garlic and salt. 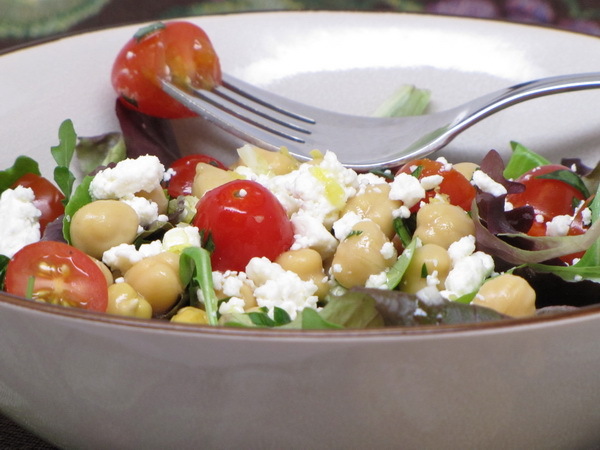 Add chickpeas, tomatoes, scallions, parsley and salad and toss well to coat. Sprinkle with feta and serve. 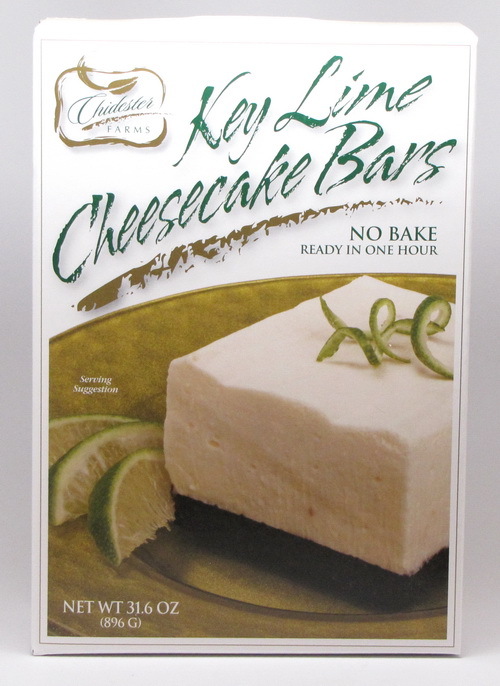 The good folks at PlentifulPantry sent me a couple of their dessert mixes to try and here is the first installment….Chidester Farms Key Lime Cheesecake Bars. The big box comes with enough ingredients to make 2 batches – 2 batches would fit in a 9×13 baking dish while 1 fits nicely in an 8×8 baking dish. These are amazingly easy to put together and the results are outstanding – the bars definitely taste completely homemade. I had doubts about a chocolate crust with a citrus dessert, but it was a perfect accompaniment. 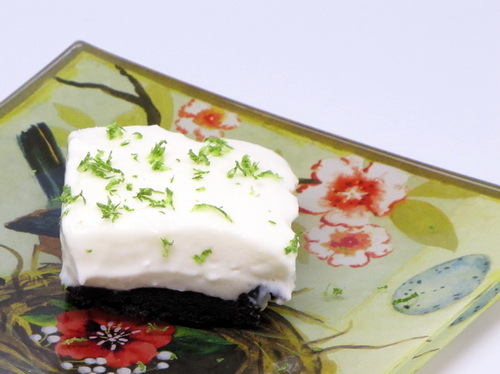 Just follow the package instructions and in an hour you will have delightfully rich cheesecake bars with just the right amount of lime flavoring. Be sure to visit PlentifulPantry and check out their products – they have a whole bunch of ‘partially prepped’ products that get you out of the kitchen faster without skimping on quality. 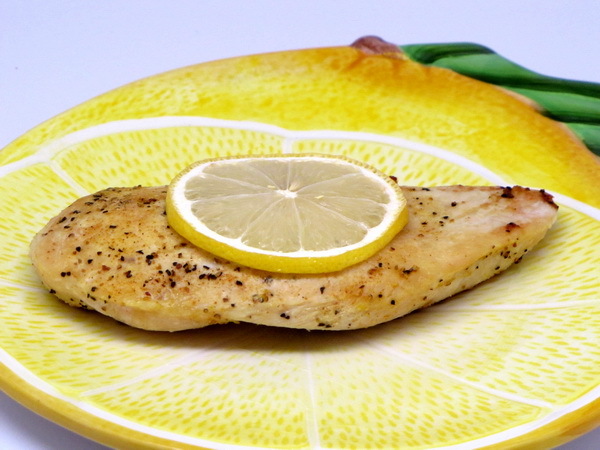 Citrus and chicken just go together ! And the flavor punch for almost no added calories is a great way to feel satisfied even after eating a smaller meal. There’s lots of calories to spare here, so add a hearty side dish and enjoy. Preheat oven to 400 degrees. Spray a small baking dish with Pam. Rub the chicken with the dry spices. Spray a skillet with Pam and cook the chicken 3-4 minutes per side to brown. Then place the chicken in the baking dish and pour the citrus juice over the chicken and bake 20-25 minutes.